When Yakutat Glacier was measured during a survey in 1894, its terminal moraine sat on dry land on a coastal outwash plain. 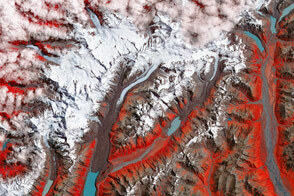 Within a decade, the glacier started retreating and a small meltwater lake—Harlequin Lake—emerged at its end. 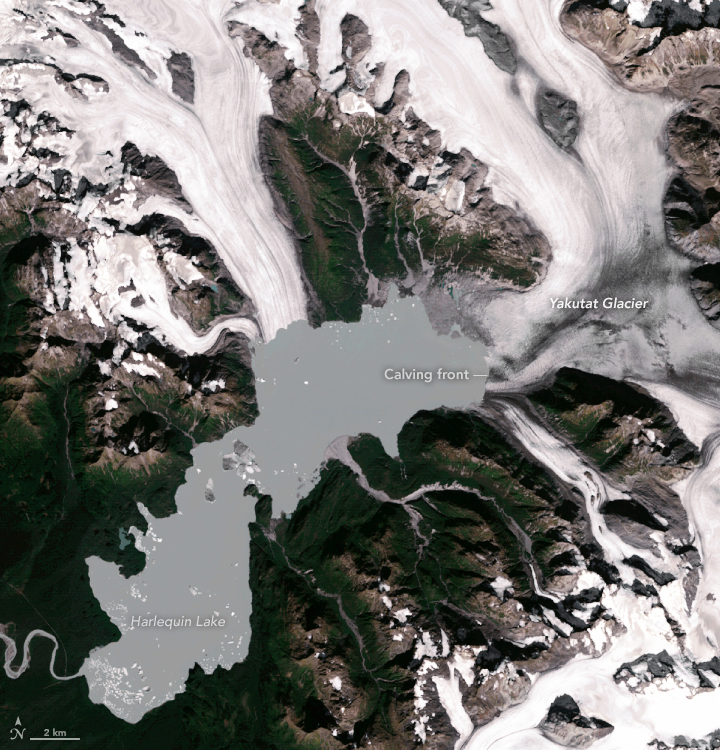 Since then, the lake has expanded dramatically as the ailing glacier has shrunk. During the past few decades, changes at the terminus have been particularly rapid. 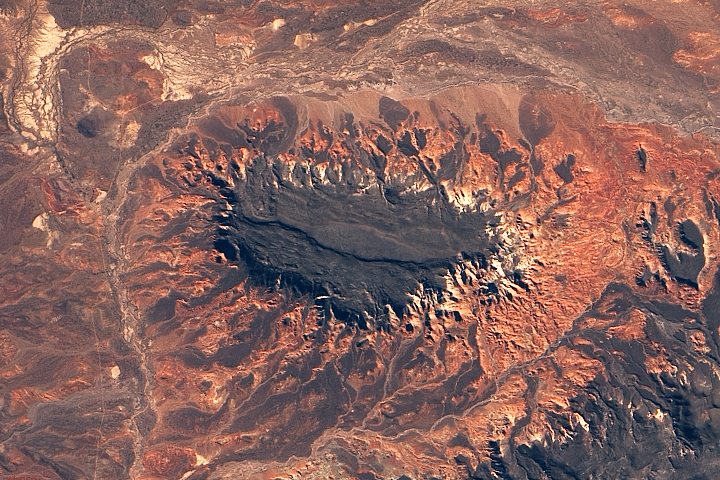 The Operational Land Imager (OLI) captured the top image on September 21, 2018; the second image was acquired on August 13, 2013. During that period, the glacier retreated several kilometers as a series of icebergs calved into the lake. 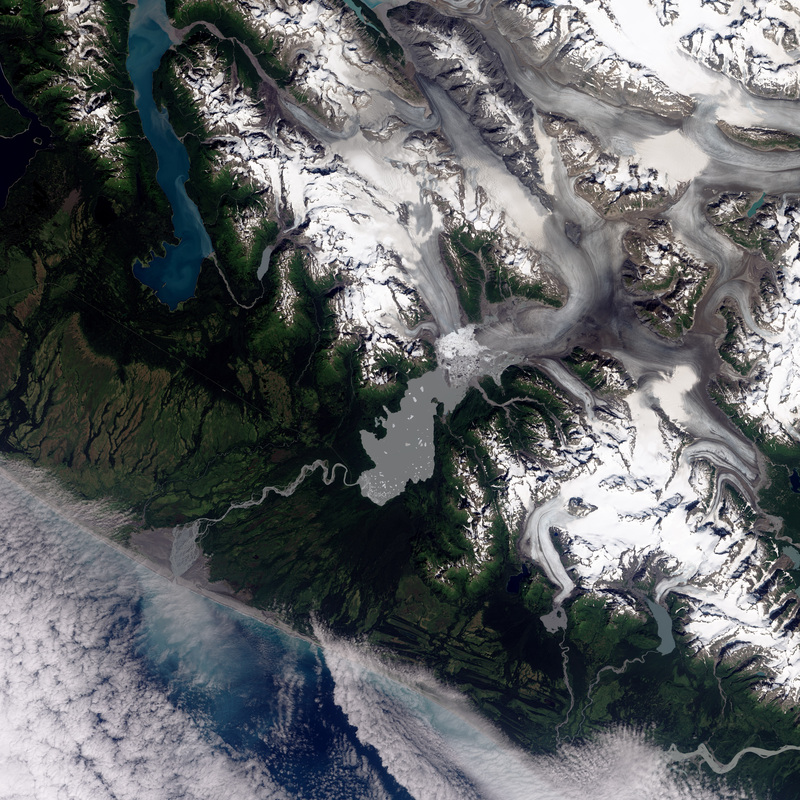 Yakutat has retreated more than 10 kilometers (6 miles) since 1987 (third image). At times during the past few years, large icebergs (more than 2 kilometers long) have broken off from the glacier. In the 2013 image, for instance, several large icebergs are visible floating in the middle of the lake. By 2018, most of the icebergs are much smaller. The end of the glacier now sits in relatively shallow water, with an exposed shoal now spanning part of the northeastern edge of the lake. This makes it difficult for large icebergs to break off. The calving front has also shrunk from a width of about 6 kilometers (4 miles) in 2013 to about 2 kilometers (1 mile) in 2018. 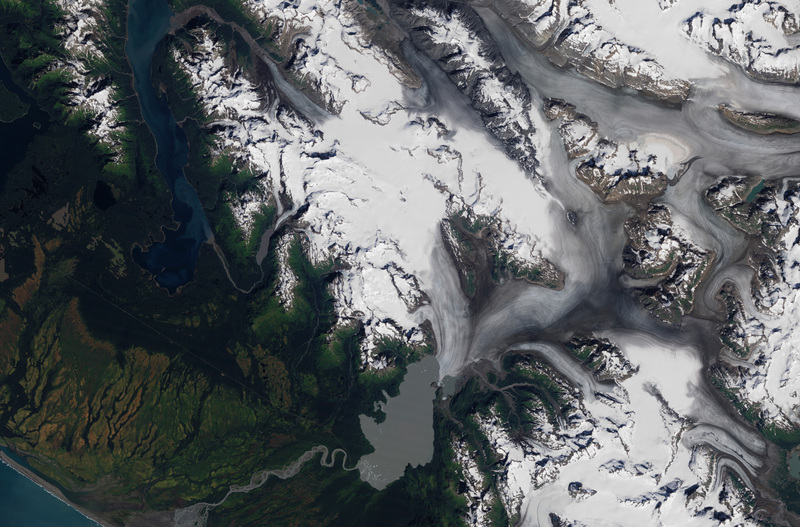 Scientists who watch Yakutat Glacier closely expect the rate of retreat to slow in the coming years. 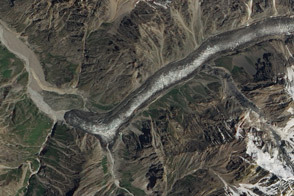 Still, they say it is just a matter of time until the glacier disappears. The icefield that nourishes Yakutat formed hundreds of years ago during the Little Ice Age, a period when Earth’s climate was significantly cooler. Over time, the icefield has contracted, losing key connections with high-elevation areas that were once important sources of fresh snow and ice. 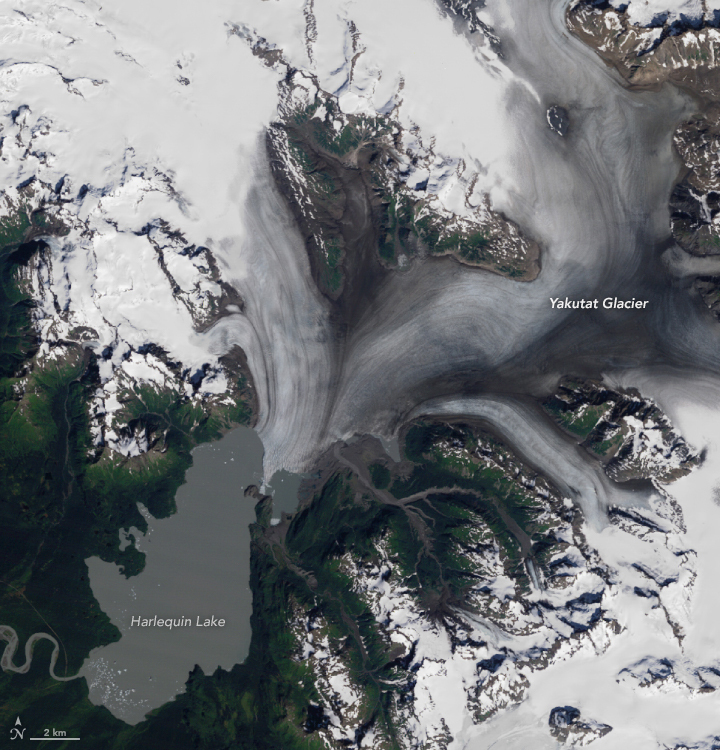 In 2013, Barbara Trüssel and Martin Truffer from the University of Alaska estimated that Yakutat Glacier would not survive past 2100 if present-day climate conditions persisted. If warming continues at a rate climatologists expect, the glacier will be gone sooner—perhaps 2070. 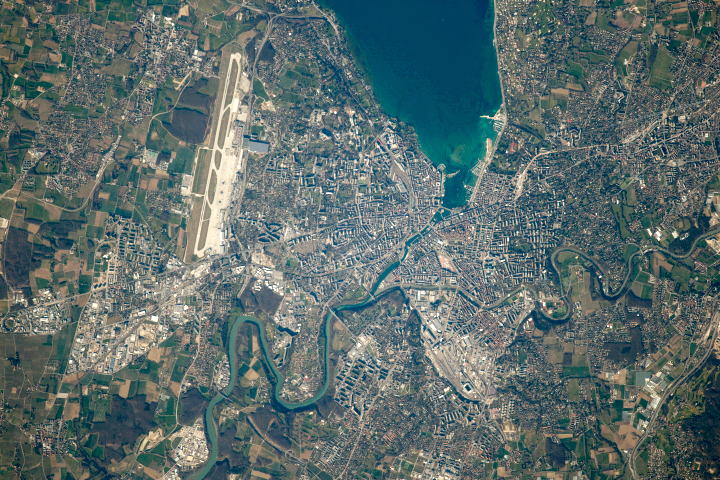 Reversing the retreat would require a cooling of 1.5 °C (2.7 °F), or an increase in precipitation of 50 percent or more—both scenarios that the scientists consider unrealistic. 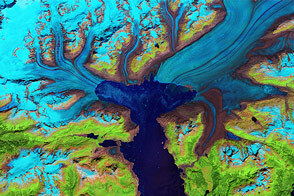 NASA Earth Observatory image by Lauren Dauphin and Robert Simmon, using Landsat data from the U.S. Geological Survey. Story by Adam Voiland. 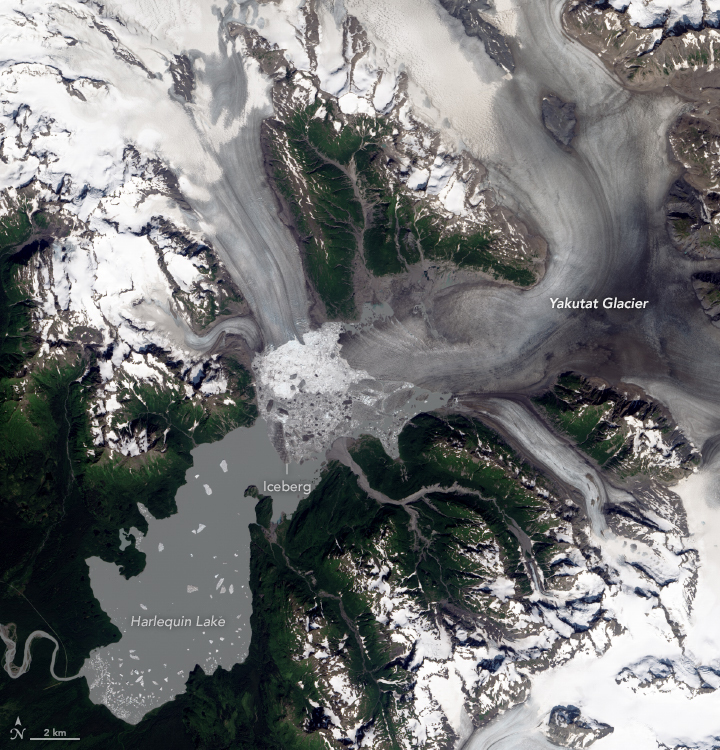 From a Glacier’s Perspective (2018, September 14) Yakutat Glacier Terminus Collapse Nears Completion, 45 km2 lost 2010-2018. Accessed November 13, 2018. Glacier Adventures (2010, May 25) Yakutat Glacier. Accessed November 13, 2018. Trüssel, B. et al. (2017) Runaway thinning of the low-elevation Yakutat Glacier, Alaska, and its sensitivity to climate change. Journal of Glaciology, 61-75. 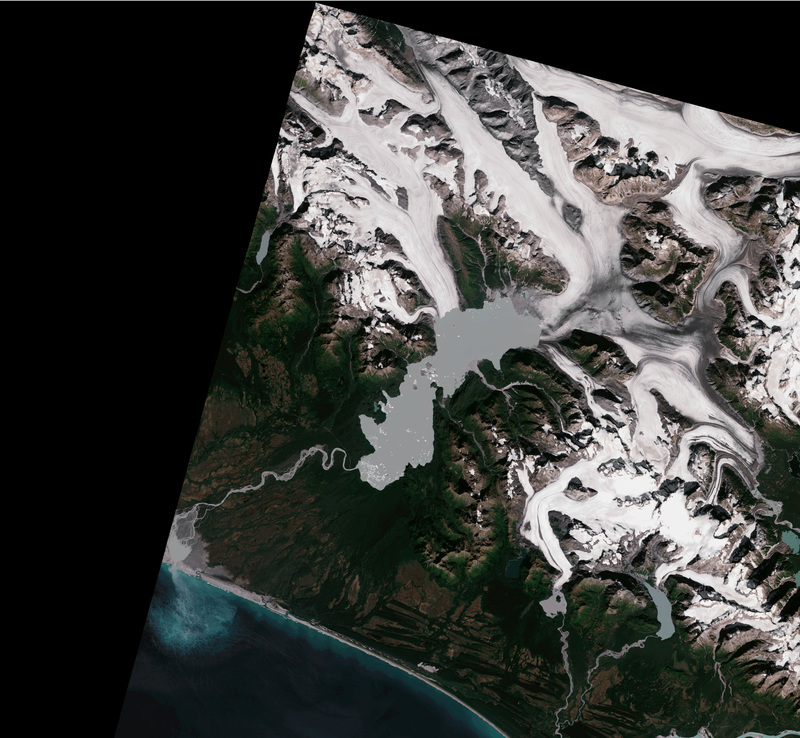 University of Alaska (2011, August 3) Study of a dying glacier. Accessed November 13, 2018.